Proponents and opponents of marriage equality in Washington state are readying for the November election. The Seattle Times reports that the fundraising efforts of those in favor of maintaining marriage equality are currently running far ahead of those insisting that marriage continue to be unequal. But the National Organization for Marriage, a heterosexual-supremacist anti-marriage equality group, is expected to soon begin pouring big amounts of cash into trying to overturn Washington’s equal rights law. 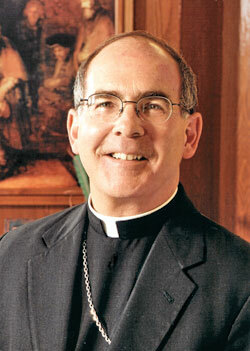 Click here to read the Times story. 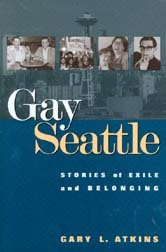 For those living near the Seattle area, I’ll be reading from and discussing Gay Seattle as well as my new book Imagining Gay Paradise at Seattle University on Thursday evening, April 12. The focus will be on the age-old notion of a “search for home” — that plot line of struggle and human creative endeavor we all know so well from stories like theOdyssey. Gay Seattle, treated that theme — but, of course, imagining a home in the soggy Pacific Northwest is considerably different from imagining one in tropical paradises. I’ll be comparing and contrasting the approaches used in the two geographic areas. And, we’ll be talking about writing and what techniques come into play in book-length narrative journalism. At least one if not more additional discussions of the books will be scheduled in the Seattle area during the Pride Month of June. Then I’ll be attending other readings and discussions in Bangkok, Singapore, Bali, and Amsterdam. I’ll post those as they are scheduled. A colleague, Dr. Sam Boerboom, who teaches courses in LGBTQ rhetoric, will also be on hand to discuss his insights about how sexually marginalized groups have to re-imagine their homelands since they are often shut out of those imagined by others. The event starts at 7 p.m. at SU’s Commons on the 5th floor of the Casey Building and runs until 9 p.m. It’s being co-sponsored by the university’s Communication Department, International Student Center, and Asian Studies program and has been organized by Dr. Mara Adelman — who, as everyone at Seattle U knows, always does a fabulous job of making sure there are great snacks to go along with the conversation! The event is open to the public.